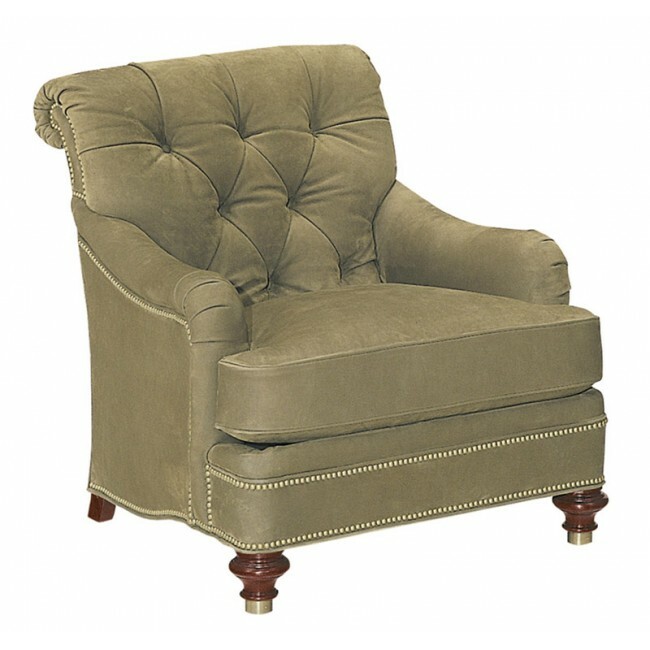 The St. James Tufted Back Lounge Chair features a beautifully rolled hand-tufted back, English arms, T-cushion seat and hand turned legs with brass ferrules. It is standard with hand applied nail head trim. A matching St. James Ottoman (1775-89) is also available as well as a non-tufted back version (1775-51) of this luxurious lounge chair. Medium Mahogany is the standard finish. Spring-Down seat cushion standard in fabric. Leather-Luxe standard in leather. NS-00 nail head trim standard in leather.